It is girl scout cookie season and my favorite is Thin Mint girl scout cookies. I also love brownies. They are both great on their own but put them together and you get something even better…… Thin Mint Brownies! One thing I am focusing one this year is memory keeping. My girls are growing up so fast and I am sad that I don’t have items like this Valentine Quiz for Kids from when they were young. I am going to make them complete the quiz this year but wish I would have started when they were little. If you are a room mom or teacher this would be a great activity for a classroom Valentine’s Day party. I am sure most parents would love to receive this. Looking for a fun kid-friendly easy drink for Halloween? This Halloween Apple Cider Punch recipe or Cranberry cider is perfect. There are just three ingredients – cranberry juice, sparkling apple cider and grenadine. You can make these up very quickly in individual portions. Having the cranberry apple cider is individual portion is great for kids. You could also use a punch bowl if desired and have cranberry apple cider punch. We made these drinks in mason jars with black lids with straw holes. I love that you can change the look of the mason jars with different lids, straws and vinyl decorations. (Lots of vinyl info here) The mason jars make this a fun Halloween drink but you could change the colored top and straws and vinyl decorations and this sparkling apple cider punch could be made for many holidays or celebrations. With kids (or even adults) it is nice to have a lid so there are no spills during your Halloween party or event. In no time at all, you can mix up this punch and have a fancy and fun Halloween beverage. If you want to make this Halloween drink for adults, you could spike the recipe with your favorite alcohol. Both vodka and rum would pair nicely with this recipe depending on your taste preference. Looking for more ideas for a Halloween party or for Halloween treats? Check out these easy recipes. Check out this fun kid friendly Halloween drink. Looking for the best candied pecans recipe? This easy sugared pecans recipe is a simple and tasty way to make candied nuts. Cinnamon pecans or sugar coated pecans are a yummy sweet treat, especially around the holidays. I also love candied pecans for salad. It just brings a simple salad up a notch is taste and style. If you are looking for a simple DIY homemade food gift, you could package this sugar coated pecans in a mini mason jar or treat bag and tie with ribbon. This recipe for candied pecans with brown sugar is so simple to make and requires just a few ingredients. If you are wondering how do you make candied pecans, this recipe shows just how easy it is to make sugared pecans on the stovetop. You do need to make sure you watch and stir the glazed pecans nuts carefully as you are cooking them in the pan. You don’t want them to burn. Add your brown sugar, butter, water, cinnamon and salt to a large sauté pan. Mix your ingredients over medium-low heat and mix in your pecans. Cook and toss for 15 minutes. Pour onto a sheet on parchment paper to cool and enjoy your cinnamon roasted pecans. I love how this simple recipe is just perfect for the holidays. Pour onto a sheet on parchment paper to cool and enjoy. I was so excited when my Silhouette Mystery Box arrived on my doorstep. As I have mentioned before, my Silhouette Cameo cutting machine is my favorite crafting gadget and Silhouette America just started offering mystery boxes. Starting in September, you can purchase both small and a large mystery boxes from Silhouette America. This is a great way to try lots of fun products at a discount. The small boxes are $49.99 and they include over $100 worth of products and the larger boxes are $99.99 and they include over $200 worth of products. Use coupon code: BARGAIN to take advantage of these savings. My small mystery box contained two neat starter kits-the Chalkboard Starter Kit and the Glass Etching Starter Kit. It also contained a Sticker Sampler Pack (which included those scratch off sheets like you can find on the lotto tickets! ), Printable Adhesive Kraft Paper, Foil Transfer Sheets, Leatherette Sheets and Glitter Sketch Pens. This was quite the haul of fun products! I have never tried the Silhouette Leatherette Sheets, so I decided to try out a project. My kids have all sorts of gadgets and cords, so I decided to make my daughter a cute personalized cord keeper, better known as a cord taco to keep her phone charging cord neat and tidy. To make this project, I used the Silhouette Leatherette sheets, which came in a package of three (Gold, Pearl and Black), some snaps from the craft store, a snap setting pieces and a rubber mallot that I had on hand. I also personalized my cord keeper and used heat transfer vinyl for this, a teflon sheet and my trusty iron. I made my own file in the Silhouette Studio Software, on my computer. It was a super simple 4 inch circle. I drew two small holes for the peg of the snaps a little less than a half-inch from the top and bottom. Let me give you a great tip so you don’t waste your leatherette sheets! After making my own file, I cut my design using some scrap cardstock to make sure my snap holes were placed in the correct spot and that the size was right. I did have to make an adjustment and I was able to do that without wasting my leatherette sheets. I used the faux leather paper setting in my Silhouette Studio software to cut my cord keeper and I was amazed how cleanly it cut the leatherette sheets. When choosing a blade to cut the leatherette, one tip is to keep a different blade for each type of media that you cut and your blades will last longer. I used the blade reserved for fabric projects to cut the leatherette sheet. I label them with a white pen for fabric, vinyl, paper, etc. To finish off your simple project, follow the directions to attach the snap that you purchased from the craft store. I used my rubber mallet and small setting tool to attach them to the cord keeper. If you want to personalize your cord keeper, you can cut a name or sentiment from heat transfer vinyl. Keep in mind that the leatherette sheets will melt if you use too much heat. Be sure to use a teflon sheet or parchment paper in between your project and the iron. Press with your iron for a few quick seconds at a time to press your heat transfer vinyl onto your project. The personalization is optional, but a really fun touch! As soon as I finished this cord keeper for my daughter, my two boys requested one as well! Looking for an easy patriotic dessert for a Fourth of July or Memorial day party? Check out these cute marshmallow pops that will be a hit at your next event. 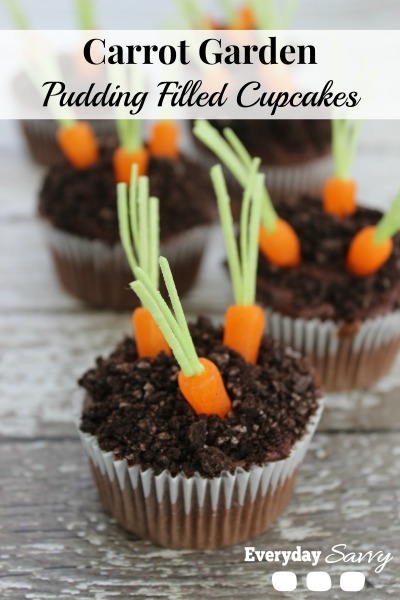 I am always on the lookout for easy recipes that look cute and are tasty. These patriotic marshmallow pops are just that. You need just a few ingredients and they can be made quickly. They are super cute and fun though and would be great at any Fourth of July party. The ingredient measurements and printable recipe are at the end of this article. Gather up your ingredients and two small microwave-safe bowls. These marshmallow pops are so easy that kids can easily help you make them. Younger kids could add the marshmallows to the sticks and even dip the ends in the melted candy melts. Tweens and teens could easily make these whole marshmallow pops themselves. These holiday marshmallow pops are decorated for Fourth of July. However, you can use the same instructions with different color candy melts for birthday parties, baby showers, Christmas and more. You are only limited by your imagination. The first step is to stick 3 jumbo marshmallows onto the end of each lollipop stick. Next, in two small microwave-safe bowls, heat 2 cups of each blue and red candy melts on 50% power for 3 to 4 minutes, stirring every 30 seconds until melted. Scoop your melted red candy melts in a decorating bag and cut a small tip off the end. Dip the end of your marshmallow pop into the melted blue candy melts, making sure to cover the top marshmallow in the melted blue candy. Be sure to shake any excess candy melts off and place onto a piece of parchment paper. You will then sprinkle some white candy pearls onto the melted blue candy melts. Use your decorating bag to drizzle the red melted candy melts in stripes onto the other 2 marshmallows. Once complete, carefully transfer to the freezer for 15 minutes to harden. Enjoy a tasty and easy patriotic dessert! Looking for more patriotic treat and dessert recipes? See the full Marshmallow pop recipe below. These cute marshmallow pops are perfect for a Fourth of July party. Stick 3 jumbo marshmallows onto the end of each lollipop stick. In two small microwave safe bowls, heat 2 cups of each blue and red candy melts on 50% power for 3 to 4 minutes, stirring every 30 seconds until melted. Dip the end of your marshmallow pop into the melted blue candy melts, making sure to cover the top marshmallow in the melted blue candy. Shake any excess candy melts off and place onto a piece of parchment paper. Sprinkle some white candy pearls onto the melted blue candy melts. Use your decorating bag to drizzle the red melted candy melts in stripes onto the other 2 marshmallows. Carefully transfer to the freezer for 15 minutes to harden. Here is the wonderful and easy 4th of July dessert recipe. 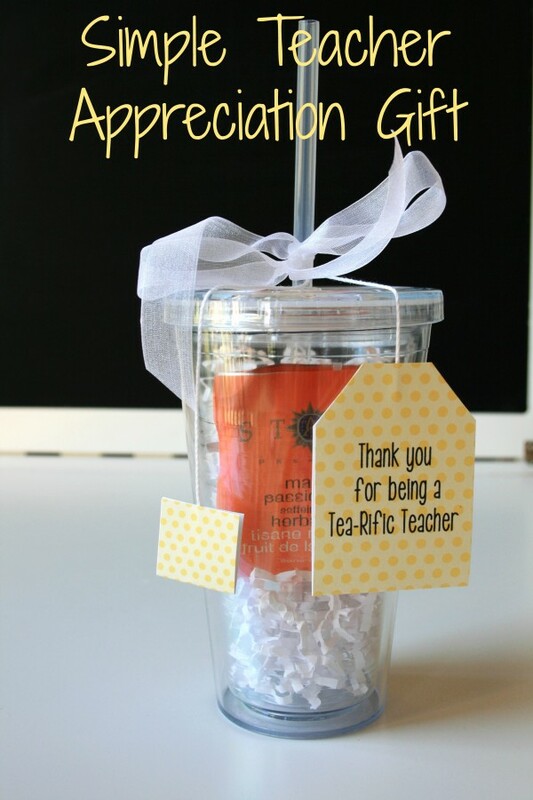 These teacher appreciation flowers with printable tag make an easy teacher appreciation gift. Giving a teacher flowers is a simple and lovely gift that can be given during teacher appreciation week or as a year-end teacher gift. This teacher gift requires just a few materials and is easy to assemble with our printable tag. You can download the printable tag for the flowers for teachers below. Each tag says “Teacher, Thank you for helping me BLOOM this school year!” The download includes 4 tags for the flowers so you can give them to multiple teachers. This is great if you happen to be in charge of teacher appreciation week and need Teacher Appreciation Week gift ideas for many teachers. You couls also use them for each teacher if you have multiple children. 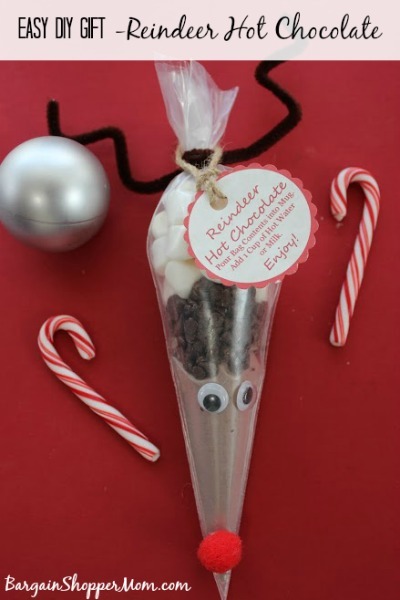 It is easier to just buy multiples and make this cute gift for a bunch of teachers. 1. Use scissors to cut along the dotted lines on each printable tag. bottom of the tag (or the back) to write a short note or sign your name. a ribbon to complete the attachment. This is quite an inexpensive teacher appreciation gift idea but still looks beautiful. What teacher would not love having fresh flowers in their classroom or to bring home. This Sausage Asparagus Skillet Recipe with Quinoa is so quick and easy to prepare and an easy family favorite meal. Looking for a healthy and easy meal? Check out this Sausage, Asparagus & Quinoa Meal Recipe. This meal is so simple to make but flavorful and sure to become a family favorite. We all love quinoa in my family and this is a great way to prepare it. My youngest requests it often. Here are a few in process pictures but be sure to check out the full printable recipe below. In a medium saucepan, bring the 2 cups of chicken broth to a boil. Add in the 1 cup of uncooked quinoa. Lower the heat and allow the quinoa to simmer, stirring occasionally, until cooked, about 10-15 minutes. In a separate pan, saute the fresh asparagus and smoked sausage on medium heat until the asparagus is tender, about 10-15 minutes. I’ve found I didn’t need to add any oil with the sausage. Serve immediately. However, leftovers also reheat well. This easy recipe is perfect for busy nights but still healthy and flavorful. You really can’t go wrong. If you are looking for a new way to try quinoa and asparagus, you really can’t go wrong with this recipe. In a separate pan, saute the fresh asparagus and smoked sausage on medium heat until the asparagus is tender, about 10-15 minutes. I've found I didn't need to add any oil with the sausage. Add in the 2 cups of cooked quinoa and continue to saute 5-6 minutes. Want more easy and tasty recipes? Here are a few of our favorites. These adorable Rudolph Cookies are adorable, festive and so easy to make. These Peanut Butter Reindeer Cookies make a fun treat for kids (and adults) plus they are so easy to make that the kids can help. This recipe requires just a few simple ingredients and you may have most of them on hand already! See the full printable recipe below. I love that these are peanut butter easy reindeer cookies. Many Christmas cookies are sugar cookies so these have a whole different taste profile. Cream together peanut butter, butter, sugar and brown sugar until smooth. Add egg and vanilla and beat until smooth. Whisk together flour, baking soda and salt in a separate bowl. Slowly add dry ingredients to the creamed mixture, beating until incorporated. Roll into 1/2-3/4″ balls and place on cookie sheet several inches apart. Sprinkle with sugar and gently make an indentation slightly off the center of each cookie. Bake 12-14 minutes. After you bake the Christmas Reindeer cookies, it is time to decorate! This is my favorite part. Want more easy and tasty recipes for Christmas? Need Gift ideas? So so many unique gift ideas for everyone on your list.